Mario is no stranger to precarious situations, but trying find stable footing on a platform as wily as the Wii is no easy task. 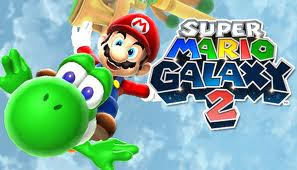 In many ways, Super Mario Galaxy 2 is a very traditional game: it challenges the player to master a set of skills that cannot be modified or upgraded. Failure is just one poor jump away and the number of mid-level checkpoints are limited. Instead of quicktime events and cutscenes, boss fights and elaborate set pieces are navigated with the same controls used in a normal situation. The game is not easy. Because of this, SMG 2 and the Wii initially seem to be strange bedfellows. While the Wii is home to many traditional gaming experiences (and some extremely hard games, like the Bit.Trip series), it is best known for its broad, casual user base. After all, this is the system that your parents, or perhaps even your grandparents, own. SMG 2 is structured to accommodate a range of players with different skill levels by creating a single world whose rules organically lead to various difficulty settings. Rather than having a menu option with which to toggle between contrived “easy, medium, and hard” difficulties, SMG 2’s challenges are integrated into the game’s structure. It is an elegant system that allows players to scale the difficulty based on their skills and how far they want to push themselves. Mario’s complete move set is available from the outset, which allows experienced players to employ their prior knowledge without having to wade through tedious tutorials. For those who have never performed a long jump or a backflip, optional signs and video demonstrations introduce the moves as they become necessary. Additionally, the levels are designed such that they demand increasing complexity as the game progresses. Players that already know how to control Mario can easily breeze through early levels by skipping tutorials and using moves that exploit the simplicity of early levels. New players have the option of experimenting on their own or following a suggested path that forces them to gradually improve their skills as they progress. The levels are demanding, but many include strategically placed 1ups that the player will naturally tend to collect. For example, in the “Boo Moon” galaxy, there is a relatively easy collection of three 1ups along the main path of the level. This softens the punishment of having to repeat the level multiple times, as losing one life and then collecting three more allows players to improve their technique while still coming out of the experience with a net gain of 1ups. Players that can do this on the first try get to skip this informal tutorial while also being rewarded with three extra lives. Additionally, the hub world always has a cache of free 1ups as well as the opportunity to purchase more 1ups with star bits collected in the levels. This dynamic incentivises star bit and coin collection as activities that both hone the player’s reflexes and allow them to acquire the currency that can buy them more chances to improve. SMG 2 makes the player prove their abilities while simultaneously offering the tools to keep trying. 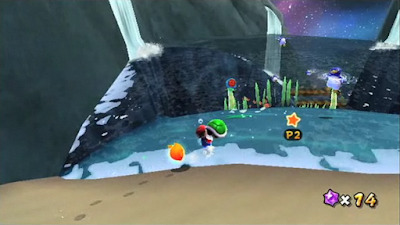 Because players are not required to collect every star in order to finish the game, SMG 2 accommodates both “tourists” and “skill players.” People that simply want to sample the game’s wide range of environments can do so without putting themselves through the rigorous task of collecting every item. At the same time, folks looking to test themselves are free to make the game harder by going after every single star and comet medal. Collecting comet medals and looking for secret stars are simultaneously objectives and training exercises. Comet medals are placed in hard-to-reach areas of normal levels, and choosing to collect them often drives the player away from the easy path through the level. By completing a series of harrowing jumps to get the medal, the game trains the player for the subsequent challenge that is then unlocked. Prankster comet levels build on certain skills that a player had previously employed in order to get to that point. Challenges such as finishing a combat-focused course without being hit or a collection-focused course under a certain time limit are unlocked after the player has shown they have mastered the basics and are ready to further refine the skills that got them there in the first place. These shifts in difficulty are both natural and optional: they only appear after the player has proven their skill, and the player is free to accept or decline the challenges. SMG 2’s cooperative mode is also a versatile method for adjusting the game’s difficulty. The second player’s ability to collect items and attack enemies can be used as both a training tool for the second player and a helping hand for the first player. As the second player, a novice can collect items and target enemies, skills that both allow them to act in a support role and practice techniques that may improve their skill in the lead role. A tourist can tag along and see all the levels while still being involved in the game. A veteran can aid someone that might need a boost when trying to reach that final star. Like the prankster comet challenges and comet medals, all of these situations occur within the same game space and are governed by the same mechanics. Instead of implementing arbitrary handicaps or contrived challenges, the difficulty shifts based on how players choose to engage with consistent, yet flexible, rule systems. I’m at a point now where SMG 2 seems to be mocking me with its challenges. However, I don’t mind having to retry a purple coin challenge an embarrassing amount of times because I know that the difficulty is derived from a system that responds to my appetite for challenge. 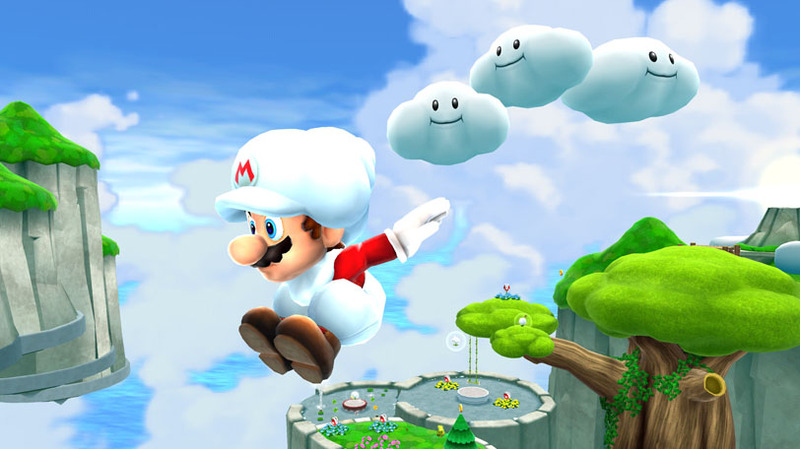 The Super Mario Galaxy 2 experience can be casual, intense, solitary, or social without having to fiddle with options, upgrade equipment, or grind for experience points. By using a difficulty scheme that facilitates and responds to skill development, Super Mario Galaxy 2 avoids the problem of making the player blindly choose an arbitrary difficulty level and instead gives them a system that changes according to their goals. In doing so, the game is perfectly at home on a console made for players of all types. This is what they call "upstreamming the market" isn't it? Also, SMG2 also appeals to veteran gamers, providing challenges so hard to come by these days on a "casual-oriented" game design world. Thanks for stopping by! It definitely seems like Nintendo is doing exactly what you describe. It would be hard to get this information since Nintendo doesn't have an achievement or trophy system, but I'd be interested to know how many stars people get before they stop playing. Similarly, I would be interested to see the cross-pollination between Mario and other titles like Kirby and Zelda. EXP Podcast #90: What's In A Name?